Originally published by Unsōdō in 1954, this is a later publication by the same publisher. Watermark in bottom left margin of the paper with the kanji 芸 (i.e., gei, meaning ‘craft’). Merritt, Helen and Yamada, Nanako (1992). 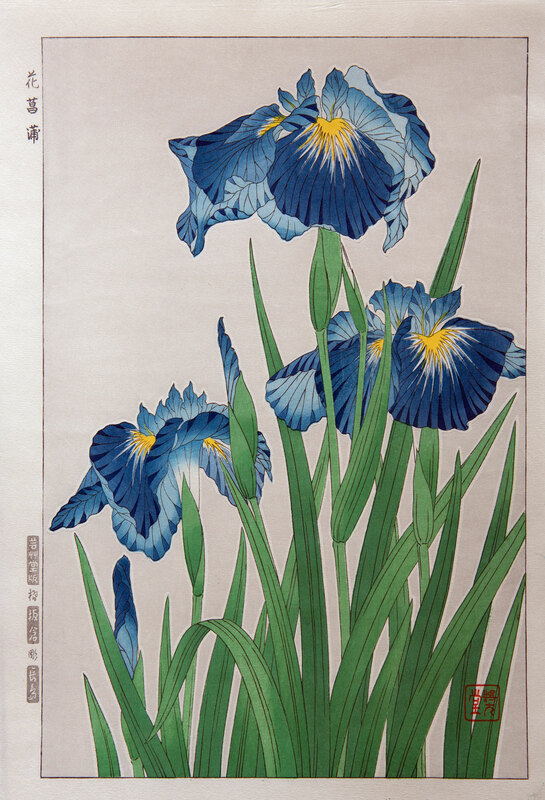 Guide to modern Japanese woodblock prints: 1970-1975. Honolulu: University of Hawai‘i Press.